Penny Dell Crosswords App updates for you and yours! It’s always exciting to announce an addition to our ever-expanding library of puzzle apps, so you can imagine how stoked I am to present two new puzzle sets for the Penny Dell Crosswords App! Available for in-app purchase right now, Collection 6 offers 150 puzzles to challenge you! 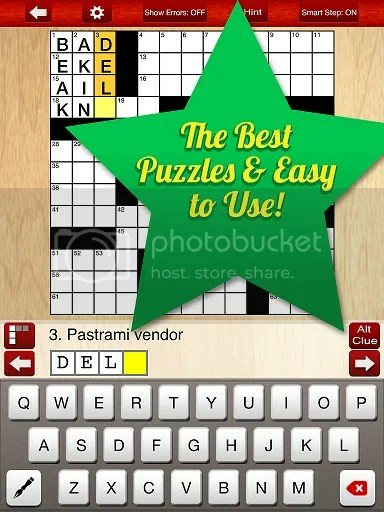 And just in time to honor Mom, our Mother’s Day Deluxe Set offers 35 puzzles sure to test your puzzly mettle! Not only that, but we’re debuting a new feature for the app itself, as requested by many of our users. We’re constantly striving to make our apps better, more engaging, and easier to use, and our latest edition of the Penny Dell Crosswords App is our best yet! Click here to explore our entire library of Crossword content, and as always, details on ALL of our app content can be found on the PuzzleNation homepage! Thanks for visiting PuzzleNation Blog today! You can share your pictures with us on Instagram, friend us on Facebook, and check us out on Twitter, Pinterest, and Tumblr! This entry was posted in Games, PuzzleNation, Puzzles and tagged About Us, announcement, crossword app, crosswords, games, Geeking Out, iPad, Mother's Day, Penny Dell Crossword App, Penny Dell Crosswords App, Penny Dell Puzzles, Penny Press, Penny/Dell Puzzles, Pop culture, PuzzleNation, Puzzlin' fool by gmdirect. Bookmark the permalink. When will these be available for the Kindle Fire?? Thank you for your question and your interest! Our team is hard at work on this and other wonderful new games! Stay tuned for release date announcements soon.